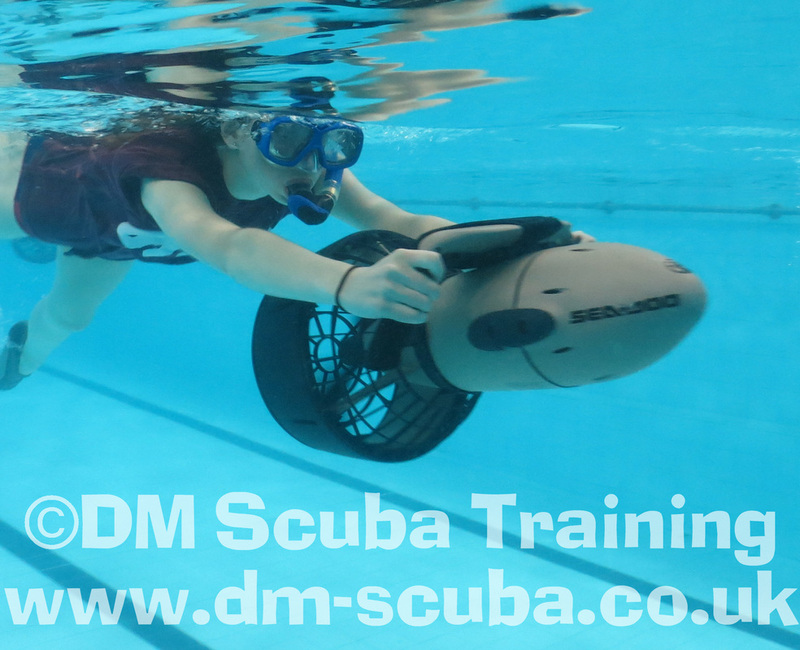 From the age of 8 years and upwards, DM Scuba are able to offer diving experiences with kit designed especially for children! This includes proper children's jackets, fins, mask and snorkels. We also use small cylinders as well including child sized mouthpieces on our regulators. We're able to offer schools, clubs and private groups discounted rates on group bookings with dedicated pool time in the South West, in fact; anywhere that has a pool! Location isn't a problem as we can come to you. We hold our regular pool sessions on Thursday evenings in Bristol, but we do have access to pools over the weekend in Bristol, Bath and Swindon, we can also cover midweek sessions with a bit of notice. We can run one or two hour pool sessions depending on group numbers. If you have access to a pool yourself we can run whole day educational events which can combine theory and practical sessions, we can supply equipment and staff for a pool party with an added dimension - you can really give your friends a memorable experience! ﻿With ﻿Professional PADI instructors on hand who are all Enhanced DBS checked and first aid trained you know your children will be in very safe hands. Our pool sessions, although serious in nature are packed with fun. We start off with a quick water safety brief before introducing the children to the scuba gear they'll be using. Starting off with a quick snorkelling lesson we move them onto scuba where they can safely experience the wonder of breathing underwater for the first time! Want to get in the water and join in? Not a problem at all! We have plenty of adult sized kit as well so no one misses out on the fun! We welcome parents or group leaders to get in the water and join in as well! All the children need to bring with them for our pool sessions is a swimming costume a towel and some enthusiasm - we supply the rest. At the end of the session, everyone can get a special certificate to commemorate their achievement if required! "Thank you so much DM Scuba for an afternoon that the girls really enjoyed. I've had e-mails from parents sending on their thanks for giving the girls the opportunity to try out something new in a safe environment. Also many asking when we can do this again so I am sure you will be hearing from us again in the not too distant future"
"The DM Scuba team ran the Scuba diving sessions for our student school challenge days. The children really enjoyed the day which was extremely educational and fun for all who took part"
"Thank you very much for the experience of the Scuba diving party for Amber. It was a fantastic . I've had so many comments from the girls and parents saying how much they enjoyed it. It was a great fun ,very professional and a wonderful experience. I will highly recommend it. I think I'd like to have a try sometime now! Thank you!" For private party Fun, Fun and more Fun! DM Scuba also offers (free of charge) the use of Diver Propulsion Vehicles (DPVs) and Torrid Pulse Bubble Ring Guns as part of the Scuba diving experience! 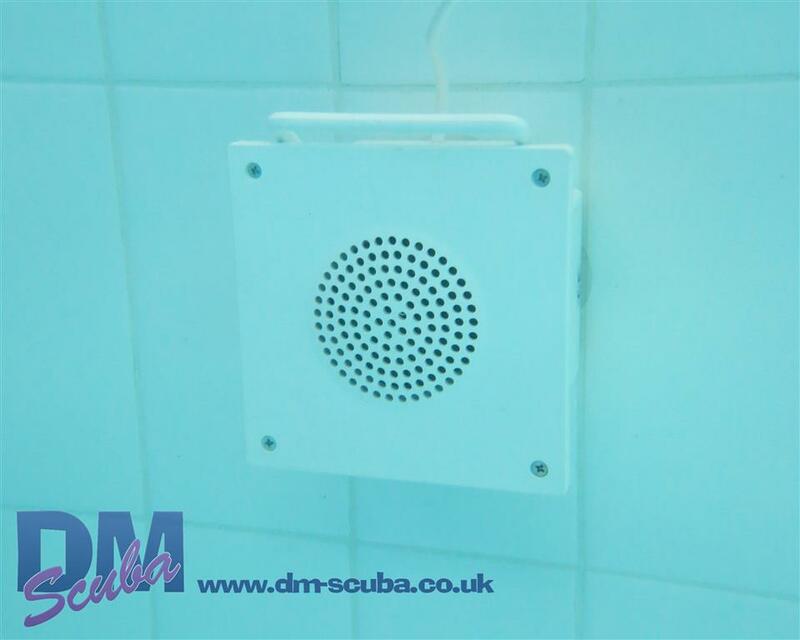 Be James Bond whizzing around shooting bubble rings at your friends We also have an underwater Sound system so the kids can boogie while diving to chart music! Whatever your requirements simply email or call us for a quote. Whether it's a full educational day or just an fun filled hour we can supply PADI Professional staff, Scuba gear and underwater Diver Propulsion Vehicles (DPV's) for the kids! We can go anywhere there is a pool, distance is no object! Prices start from as little as £20 per child during our regular Thursday evening sessions in Bristol. For private parties please contact us for a qoute. All children must have the ability to swim and be comfortable around water. Parents will need to complete a medical questionnaire and liability form on behalf of their child. Minimum age - 8 yrs (however this is dependent on equipment sizes). How to book - Simply get in touch regarding your requirements! Numbers - We can cater from 1 up 12 on Thursday evening and up to 24 on a 2 hour Sunday session.